Chlorine taste and odor is removed reducing potential corrosion issues. Mineral scale build up responsible for increased maintenance is reduced. Sediment that causes cloudy ice and plugs distribution tubes and float valves is removed. Energy efficiency and machine life are increased while reducing costly service calls. 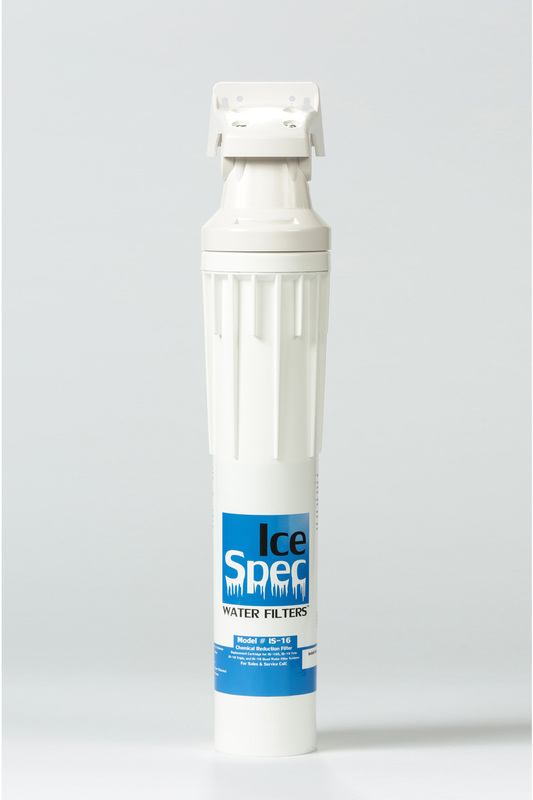 For correct system sizing, please refer to the water flow requirements of the ice machine. Water flow requirements will vary from one manufacturer to the next on the same sized machine. The following guidelines are based on average water pressure and water quality. 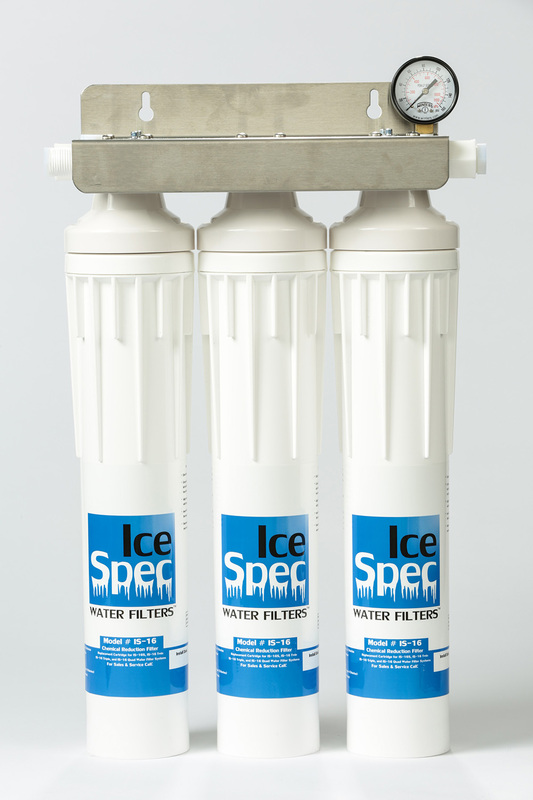 Variations in water quality or pressure may reduce overall water flow especially as filters are in service for prolonged periods. 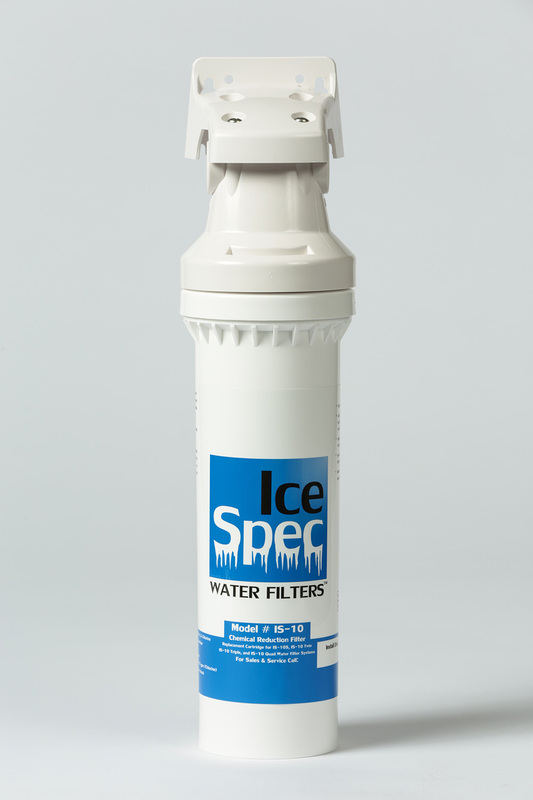 IceSpec™ filters provide excellent sediment filtration, chlorine removal and mineral scale control. 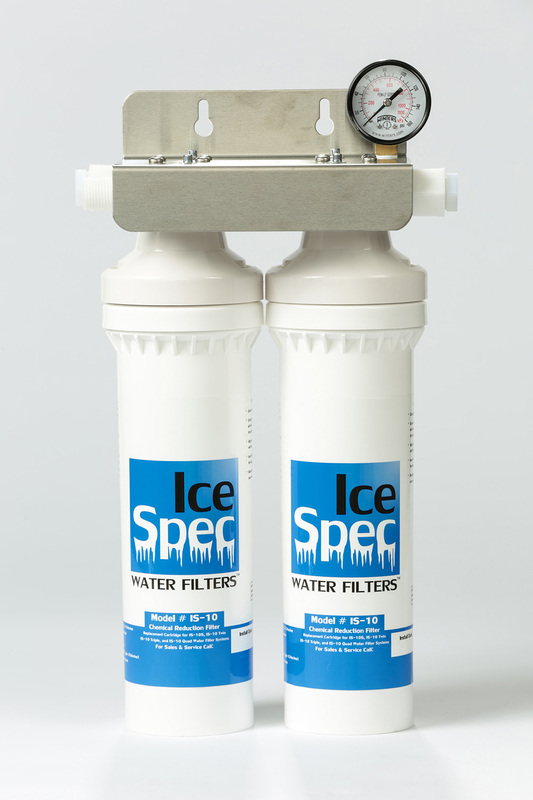 The gallon capacity ratings of the filters are based solely on chlorine removal and not scale control. Recommended filter change interval is 6 months based on the useful life of the scale control component. Bayonet Style Quick Disconnect cartridge makes filter replacement quick & easy. Compact design facilitates system placement and installation. Patented HydroBlend™ insert provides optimum scale prevention.